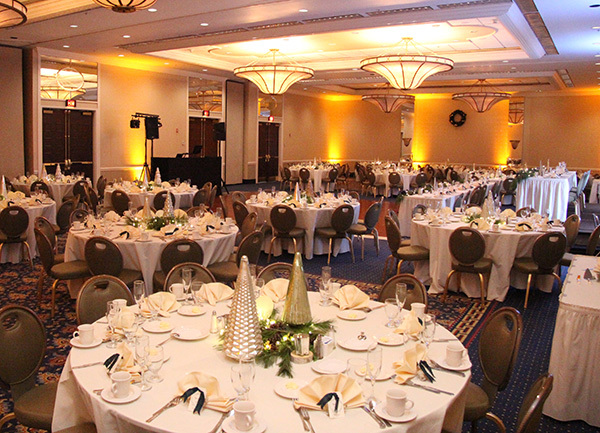 Event lighting can dramatically enhance the ambiance of any event. When set properly, lighting can emphasize and direct attention to specific areas of interest as well as set the mood for your event. Its highlights, accents and vibrancy can bring excitement to any venue. Uplighting is the easiest way to provide a dramatic feeling and aesthetically pleasing effect to any room. As the name suggests, uplighting features our wireless LED lighting strategically placed at the base of a wall, column, table or any other object that can be highlighted with color projecting upward. Looking for neutral colors like white or blush or colors that pop like pink, purple, amber or blue? Our battery powered lighting produces smooth colors that are controlled by an app that allows you to generate nearly any color you can think of! Uplighting can be used to match the color palette of your bridesmaids dresses, chair covers, centerpieces or any theme related to your special event. 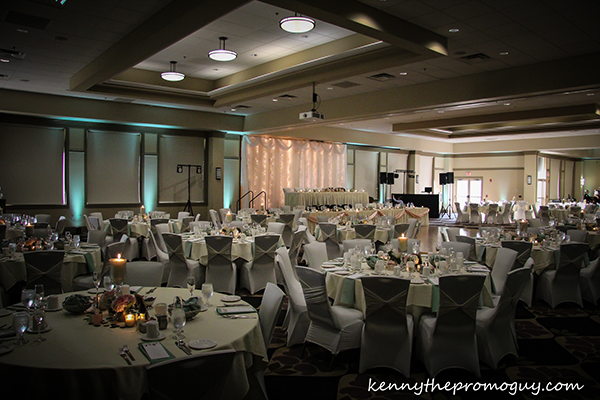 Whether you want to feature one solid color for the duration of your event or start with one color scheme for cocktail hour and dinner and transition into a variety of colors set to music once the dance floor fills up, we can make it happen! Two of the most popular questions we receive are: How many lights do you think I need and Do you think we need uplighting? Is uplighting a necessity? No, but it is a small investment that can have a dramatic impact on your event. It takes plain walls and transforms them with lightscaping that will WOW your guests enter the room and enhance the dance floor experience as the overhead lights go down and the music heats up. Book with your initial services or add it on later! 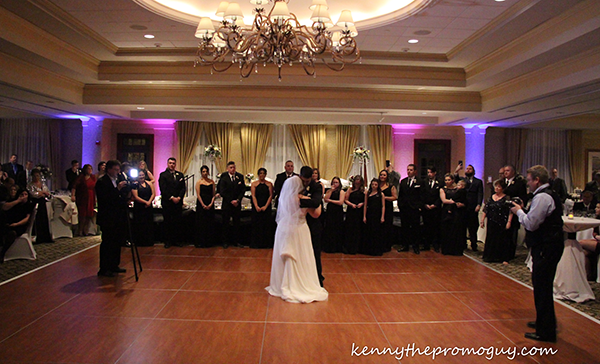 Every venue is different and certain spaces will require more lighting than others to properly light your room. Some couples want to highlight just their sweethearts table or the draping behind their head table while others want to change the look of their entire room. We have over 20 LED wireless uplights that run on high powered rechargeable batteries that allows us to place lighting anywhere you want (walls, columns, window sills and under tables and more...). What Colors Can You Create? Our LED uplighting uses RGBAW-UV technology that allows us to mix color palette to create dynamic colors inside our lights. So how does it work? RGB stands for Red, Green and Blue. A represents Amber. W stands for White. UV stand for Ultra Violet. Many companies have RGB lights than can only mix three colors. Our high end RGBAW-UV lights are made up of red, green, blue, amber, white and UV LEDS that use six base colors that combined produce a limitless range of colors. (Think back to your elementary school days of ROYGBIV: red, orange, yellow, green, blue, indigo and violet... go ahead, sing the song). Having a winter wedding? White and light, light blue may be for you. Fall weddings look great with red, amber and orange. Summer weddings rock with pinks, purples, aquas and champagne. There are truly so many options!